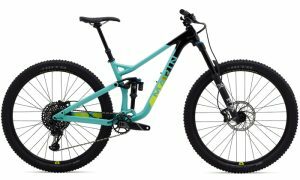 The Nail Trail family represents everything a trail hardtail should be. Durable and lightweight Series 3 hydroformed 6061 aluminum alloy frames feature compliance enhancing fastback stays, internal dropper routing, 148x12mm Boost spacing, and long and low trail geometry for singletrack speed and a trail playfulness not usually seen in hardtails. With 120mm travel suspension forks, wide-range 11-speed drivetrains, and internal dropper post options the Nail Trail is ready for just about anything the trail dishes out. With our vast knowledge of the area and experienced mechanics we can 'KEEP YOU RIDING' so that you can get out and explore the countryside of Afan Valley worry free, with friends, family or take your own adventure.